What is required to undertake a flight? It isn’t “click and go”, some time and effort is required before a flight can take place. Safety is imperative with flying a drone and this underlies the work required in setting up and undertaking a flight. The first aspect is to understand the instruction and define exactly what is required. 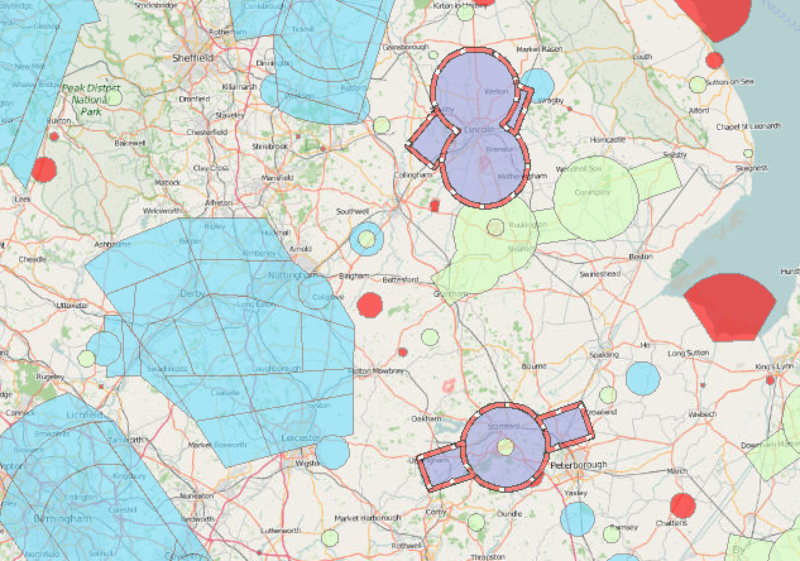 A pre flight assessment is undertaken to determine matters such as securing the landowners permission, understanding the location in terms of airspace and proximity to airfields or restricted areas (see example below), proximity of other property and people, weather conditions and the site itself and any potential hazards. On the day of the flight weather conditions will again be assessed as well as undertaking a site inspection to ensure that the flight can be conducted safely. During this phase additional information will be gathered such deciding where to take off from and importantly landing locations in case of an emergency. A risk assessment is completed for every flight. Once everyone is briefed and the drone set up and safety checks complete the flight can take place.